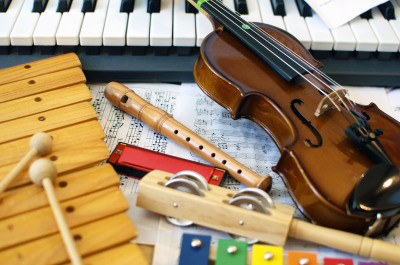 Jennifer, violinist and Toddler Music Instructor, earned her Bachelor of Arts degree in Music (Violin) from the University of Missouri-Kansas City Conservatory of Music. She studied with renowned violinist and graduate of the Julliard School, Benny Kim. Jennifer has played with the Philharmonia of Greater Kansas City in Parkville, Mo since 2002. She has performed with orchestras including the Kansas City Ballet Orchestra, Kansas City Philharmonia, Des Moines Symphony, Colorado Mahlerfest Orchestra and the Kansas City Puccini Arts Festival Orchestra where she was concertmaster in 2002. She freelances in the greater Kansas City music community and is a member of the Kansas City Federation of Musicians. She has participated in master classes with Nadja Salerno-Sonnenburg, Pamela Frank, Roland Vamos, the Orion String Quartet, the Prazac String Quartet, and the Manhattan String Quartet among others. 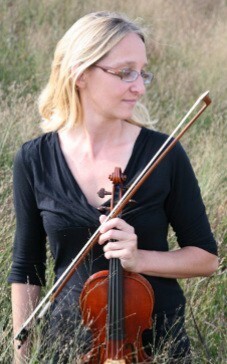 In addition to performing, Jennifer has taught both violin and viola in the Kansas City area since 1998. Many of her students participate in the Kansas City Youth Symphony and the Olathe Youth Symphony. Jennifer also conducts violin sectionals for the Olathe NW Orchestra and has also adjudicated for the Shawnee Mission Northwest Orchestra. She also teaches at St. Ann's and helps to manage their talent show. Recently, Jennifer's work in raising donations for pediatric cancer research has inspired her to volunteer her time performing with friends on the oncology floor at Children's Mercy Hospital. When not performing or teaching, she spends her time with her husband and three children in Lenexa, KS.